Two of us ate here and the food was very good, service was ok and price was about right. We had the dead hippie burger and green chilli cheeseburger - both tasty, not the best burgers we've ever had but certainly not disappointing. Fried pickles had a bit too much batter and not enough pickle. The onion rings were HUGE and very tasty, coleslaw was good and plentiful and the fries were... fries. £37 for two including service. The building is very cool, and the atmosphere was vibrant considering we dined at 16:30, although it meant the service was a bit slow. Nothing here to absolute blow you away, but hits the spot if a good quality burger and fries is what you're craving. 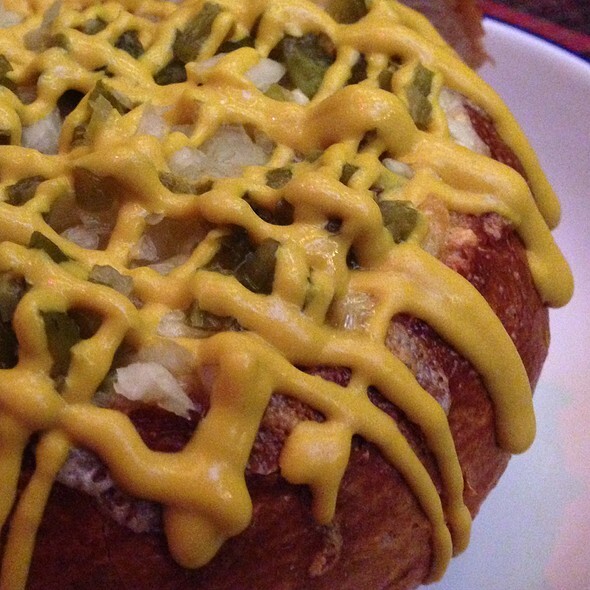 We have been going to Meat Mission for years and have never been disappointed. 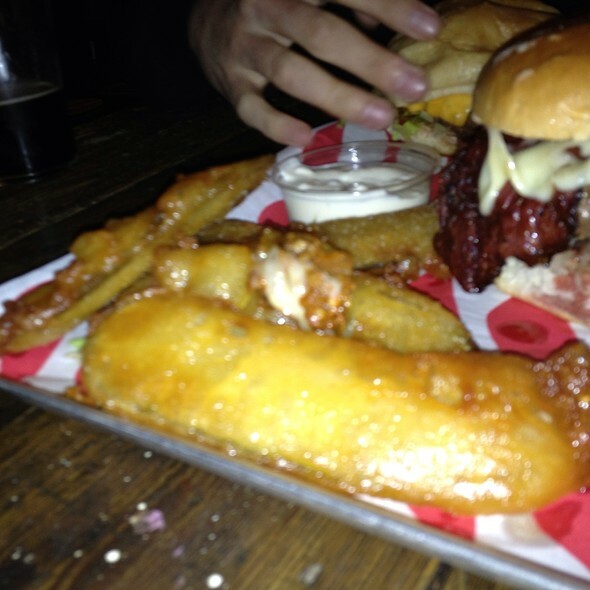 Incredible food, especially the classic cheese burger and monkey fingers! 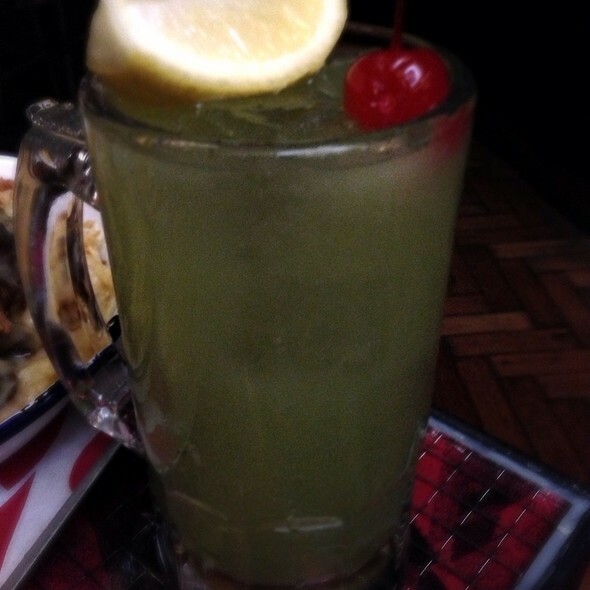 Cocktails are always a winner. It has a real festival/laid back vibe. The service is great here, the drinks are well made and the food is delicious. Can't fault it. Definitely book in advance though as you wont be able to walk in off the street without a wait - testament to the fact it's an awesome place. The buffalo chicken burger and hippie fries are the one! The buffalo sauce is the same as in the states! Decor and staff were great, food was delicious....music was a bit loud so not exactly easy to talk! Great burgers and incredible sides. This place focuses on what it does best in a loud and fun setting. Great to grab a fairly fast bite to eat and some good cocktails to go with it. Perhaps the music is a tad loud - couldn't hear my friend! Awesome service, food was great as always. So happy this is right by my office! Great food in big portions. Good customer service. 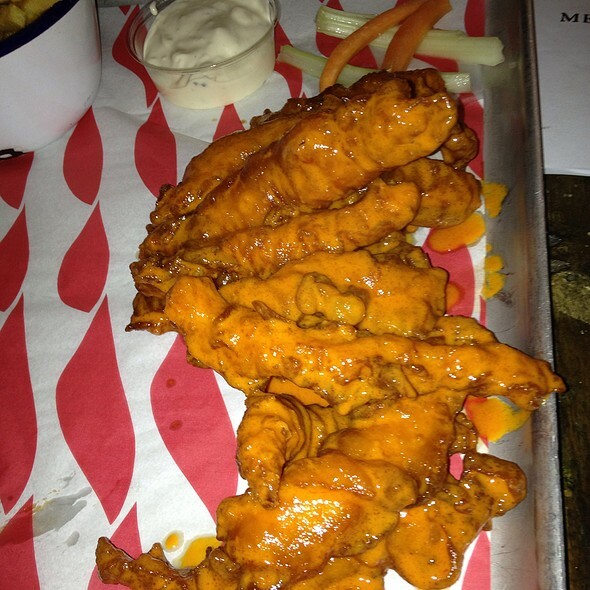 Haven't been to MeatMission in a while. Not much has changed, the portions are still big, the service quick and attentive, the music loud and the room dark. 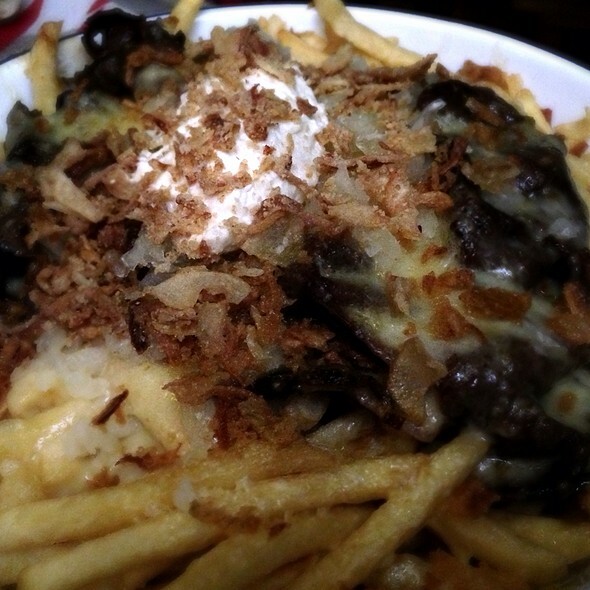 It's a great place, you get a good burger and some very decent cheese fries. My only negative is the pricing, it feels like the prices have increased since the first time I've been there, considerably. The Monkey Fingers are always amazing. Eat some. Now. I've been here a few times and no one has ever had a bad word to say about it. The burgers are some of the most tasty I've ever had the pleasure of eating. The onion rings were beyond huge, the fried pickles were an interesting accompaniment . The fries were dominated by chilli, but I won't complain about there being too much. It was all lovely. Thought the serving of milkshakes were a little on the small side but wasn't left wanting for taste. Good quick service. Nice atmosphere. Will definitely be returning. Normally I love MEAT mission, It's just around the corner from where I live. This was the first time I had booked a table, and I was really disappointed with the table. It was by the kitchen and very dark. We had to ask for more lighting so we could read our menus. The table was ridiculously wobbly and wasn't really big enough for 4 people with food and drinks. I felt like we had been shoved on the worst table despite booking. It was annoying to see couples on more spacious tables. It was a bit embarrassing as we had family up visiting and had told them how great this place was. However, the food, as ever was great. One of the burgers was a bit cold, but generally it was great food. 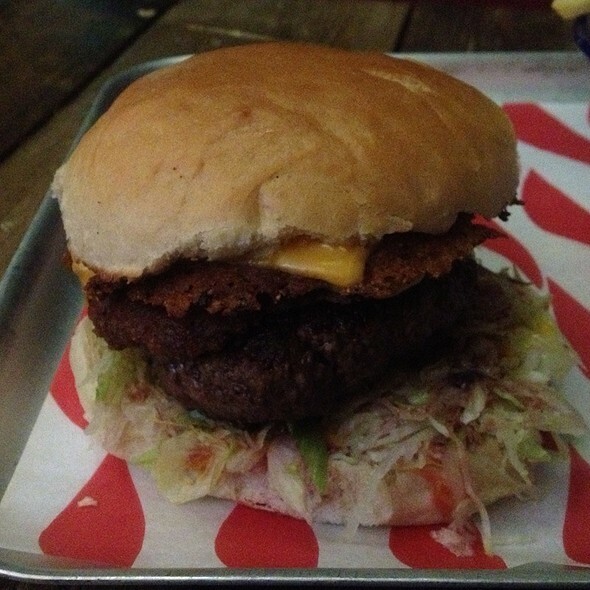 And one of our guests said it was one of the best burgers they've had in a long time. The onion rings were sensational. They were the star of the show! I think next time I won't bother booking and will just walk in. I've always had a great table that way and been able to actually read my menu. The hippie burger was delicious but, I was disappointed with the milkshake. It tasted good but was very small. Would I go back? Yes I would but at least I know not to order another shake. 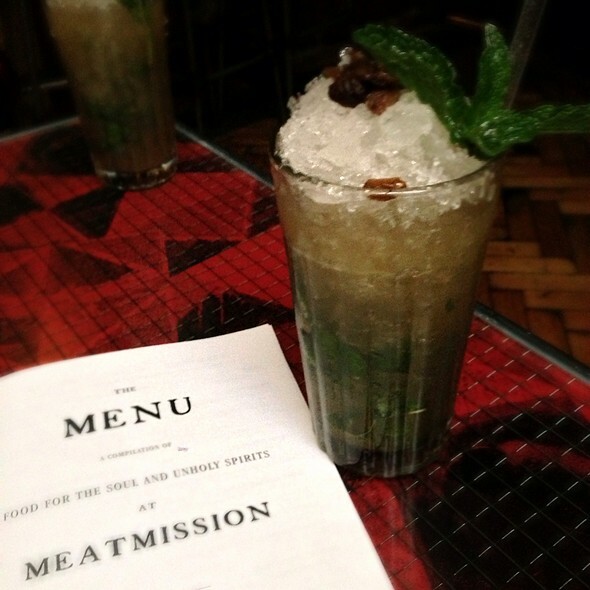 Meat Mission is a fun venue with a good selection of food and drinks (wine, beer, cocktails, milkshakes). The food is definitely a guilty pleasure - junk food, but *great* junk food. The milkshakes are also to die for - the Banoffee Hi is a must! Pricing-wise, it's probably a bit at the high end for what it is (burgers, fries etc. ), but that being said, it's not an expensive night out at all. The only gripe I had was that the last time I visited (group of two), we got told we could only stay for a further 30 mins after we'd been there an hour and a half - it would have been nice to not have to rush our drinks, but then, it was the holiday season approaching the afternoon. xxxmas dog and burger were both great - very filling! The food was relatively nice, the milkshakes were great. However, the service was a very big let down, this was without doubt the worst service I have ever experienced. The staff were never there. I'll be back for the triple chilli challenge! ;-) great atmosphere can't wait to go back! My favourite restaurant in London! Delicious food, amazing onion rings! Attentive and friendly waitress...you can't go wrong here! Booked for 4.30 pm Friday with wife and 2 grandsons 12 and 17. Great ambience but empty ? Left at approx 7pm / still empty. Great music but deserted ? Booked for a group, easy to book and accommodated our change in time, staff were all helpful and friendly. The group had the game changer cocktail which went down very well. Cocktails are strong but well made. The burgers are everything you want from a burger. Sides are where the game actually changes, if your in a large group order every side so you can try them all. Big, loud spit “n” sawdust American diner with good food and great service. The burgers were big and messy and my 9 guest enjoyed themselves. I wouldn’t recommend it for a romantic evening but I Would recommend it if your looking for a fun evening out. I hate using the word awesome but the burgers really are awesome here. Highly recommend this place for lunch or dinner. The chicken burger was to die for! Soooo good - as were everyone elses choices. Had a fantastic meal here . Would recommend the bingo wings!! Will be returning here! I brought some friends here who were visiting from Belfast, Chicago and Dallas. They had been to see me sing at the Blues Kitchen in Shoreditch on Sunday night and we wanted a quick bite after. We ordered a bunch of burgers and sides and there were no leftovers. 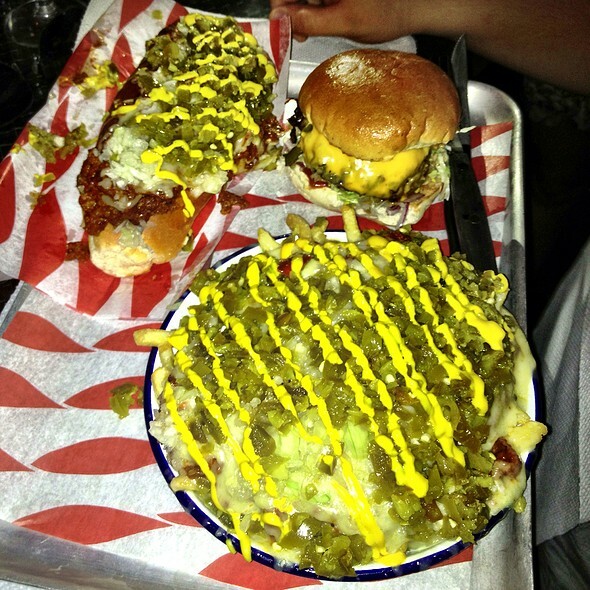 A big favourite were the Chili Cheese Fries! My friends said it was the best burger they had had so far and the best meal as they had had all weekend! Couldn't resist to try a bit of everything! 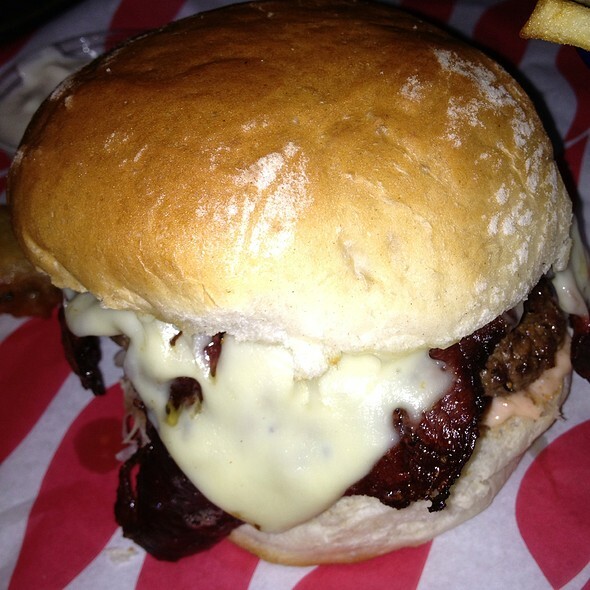 Burgers were juicy, monkey fingers were like heaven, salted caramel milkshakes are very addictive. There wasn't anything I didn't enjoy. I will definitely be back soon! Really good quality meat, a great juicy burger in a super soft bun, buffalo wings were perfect and chips were on point. Awesome decor and atmosphere. Recommended, what a treat! Fantastic cocktails and burgers, and eclectic mix of music (from cool to retro 80s cheese). Recommend the monkey fingers in particular! The sharing beer jugs also quite fun. We ended up staying nearly 3 hours, which just flew by! We came on a Saturday around 4:30/5pm, which is obviously a bit of a lull between lunch and saturday night dinner, but the service was shocking. It took 15 minutes for someone to come and take a drinks order from us, despite us trying to make eye contact with plenty of servers and bar tenders, all who turned away. Food took a while to come out, considering there were only 4 or 5 other small tables in the venue. The server said my friend's salad would be right out, after dropping off the food, but never appeared. A couple of dishes were missing/had been swapped for other dishes, but there was no checkback to bring this up, and again the servers were all very carefully avoiding eye contact with the restaurant. We saw other tables also struggling to flag someone down. When they came to clear us, we bought up the salad and other dishes, but were met with a shrug and a general attitude of not caring. We just asked for the bill, where they still felt it appropriate to add service charge.. This place was ok but it had a nightclub feel that I wasn't expecting. Shouting over your dinner? Not fun. Some of the music being played was a bit offensive too. The food was alright. The waiters were stand offish, but served us quickly. I think they wanted their table back! All in all not an awful experience, but not enjoyable and I wouldn't go again.